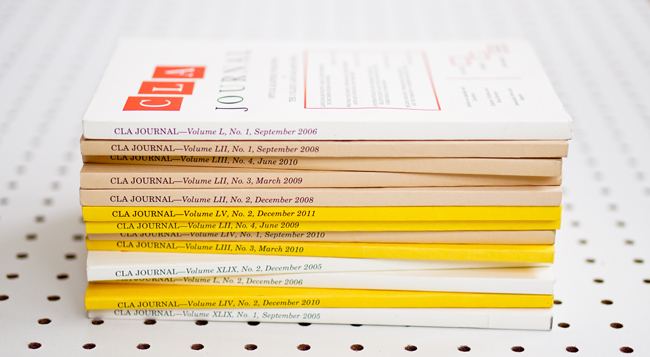 Between 1957 – 2012, CLA Journal published 1,667 articles on a wide range of major authors, novels and poems, and a variety of themes and topics. Among the writers that scholars wrote about, were some more recurring than others? If so, who? Scholars of African American literature are perhaps not surprised that Baldwin, Ellison, Hurston, Morrison, and Wright were among the recurring subjects in the journal. Those figures are, after all, frequent focal authors in various other journals, including African American Review and Callaloo, in edited collections and monographs produced by scholars in the field, and in literature courses. The frequency of articles on Shakespeare and the recurrence of articles on Walt Whitman, Herman Melville, Samuel Coleridge, and William Wordsworth reveal that contributors to CLA Journal often wrote about black and white authors. The journal was serving as a publishing outlet for its membership, not exclusively scholars of African American literature. Furthermore, the periodical began publishing articles by African American scholars long before African American literary studies was an established field.